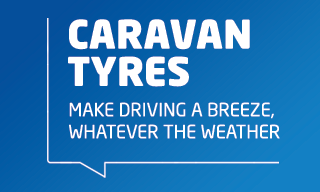 Tyres are the only part of the caravan which are in contact with the road surface. Safety in acceleration, braking, steering and cornering all rely on the relatively small contact area with the road surface. In addition, tyres also play a fundamental role in the suspension systems of caravans. With such an important role, it is essential that tyres are properly maintained and regular checks are carried out. With the correct care and attention your tyres will help to ensure you arrive at your holiday destination safely, without disruption and with minimal cost. It is strongly recommended that a compatible spare wheel and tyre assembly is carried for the caravan. As caravan tyres and wheels are rarely the same as those on the towing vehicle, the spare tyre and wheel assembly from the towing vehicle must not be used on the caravan, even in an emergency situation. 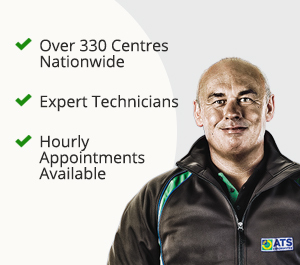 It is essential that tyres of the correct specification are fitted to caravans, trailers and motorhomes. The same tyre construction type, i.e. radial or cross-ply, should be fitted to all tyres on the same axle. Across an axle, tyres should also have an equal size, load index and speed rating with identical wheels. The same combination should apply to the spare. Tyre pressures across an axle should also be equal. Please contact your local Centre to confirm the requirements for you caravan, trailer or motorhome tyres before making a purchase online.